RI ARES had planned to do a Winter Field Day in cooperation with the RI EMA. Unfortunately one of the RI EMA Emergency Communications Command Post vehicles is out for repair and they cannot spare a vehicle for our exercise. As such, we will not be hosting a Winter Field Day event this year. Plans are in the works to set something up for Field Day in June. That said, there are several other groups holding Winter Field Day this year in Rhode Island. If you want to participate, get in touch with them and see if they could use your help! September is fast approaching with a large event here in Westerly, the Surftown Half Marathon and 5K. The Hartford Marathon Foundation, Inc. is a not for profit organization whose mission is to encourage individuals and families to adopt and maintain a healthy and active lifestyle. The organization promotes fitness to all ages and all abilities through community running events, school based programs and community collaborations. The Hartford Marathon Foundation coordinates the Surftown as well as many other events in Connecticut and Rhode Island. Their mission is to organize programs and events that promote health, fitness and enjoyment for participants of all ages and experience levels. Over 70,000 people participate annually in HMF events. Since 1994, the HMF has injected over $105 million for dozens of community charities. Since 1998, over 10,000 adults and children have participated in Hartford Marathon Foundation Training programs designed to help people begin or build a running or walking program. This is a large event and requires a substantial number of hams. Non hams are welcome also because they are a great help to the hams providing the communications. I would like to thank all those who contributed to the success of the Beavertail Lighthouse general membership picnic, activation and demonstration of tech event yesterday, Saturday the 21st of July. We had about 30 people visit and participate throughout the day, including some children! The weather was good, but quite breezy. Beautiful day in fact. 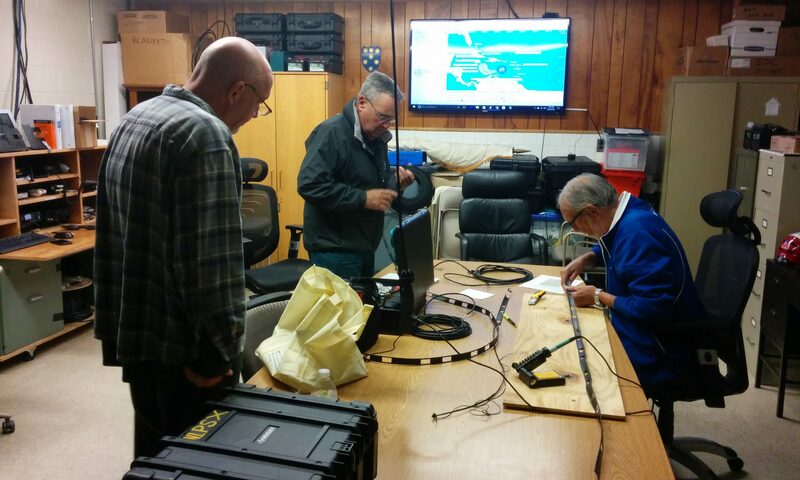 We had 2 well equipped and designed Go Boxes set up, an HF station on 20m running, and a MESH node to demo. Everything was run on solar power with batteries. We had food contributed by the membership, and it was all very good! So we ate well too. Thanks to all of you, and to all who attended and made the event a good one. We look forward to Winter Field Day in January, and a social event perhaps for Christmas time. 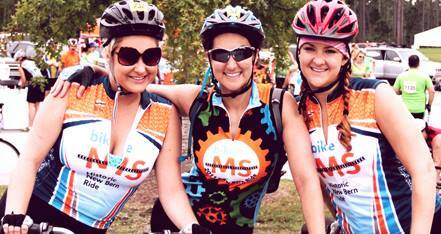 We need amateur radio volunteers for the MS Society Ride the Rhode Event on June 9 and 10. We need amateurs to provide communications and tracking from each of the SAG wagons on Sat and Sunday and we need personnel to support net control. We would like at least 8 amateurs for SAG wagons on Sat and Sun. This is one of the more extensive uses of APRS in the area and is an excellent opportunity to practice communications and asset accountability training for emergencies. We especially need volunteers for Saturday June 9. Near vertical incidence skywave, or NVIS, is a skywave radio-wave propagation path that provides usable signals in the range between groundwave and conventional skywave distances—usually 30–400 miles (50–650 km). It is used for military and paramilitary communications, broadcasting, especially in the tropics, and by radio amateurs. The radio waves travel near-vertically upwards into the ionosphere, where they are refracted back down and can be received within a circular region up to 650 km from the transmitter. If the frequency is too high (that is, above the critical frequency of the ionospheric F layer), refraction fails to occur and if it is too low, absorption in the ionospheric D layer may reduce the signal strength. There is no fundamental difference between NVIS and conventional skywave propagation; the practical distinction arises solely from different desirable radiation patterns of the antennas (near vertical for NVIS, near horizontal for conventional long-range skywave propagation). Traffic nets handle formatted written messages between served agency locations or between other nets. In emergency operations, these nets may handle the majority of message originations and deliveries. Messages to or from outside the immediate area may be handled by a Section-level net, and depending on the distances involved and the degree to which the public telephone network and Internet are impaired, by Region Nets and Area Nets. Even if you expect to handle traffic primarily on VHF/UHF repeaters, understanding how these layers of nets operate will help you to optimize your use of the system. HF traffic nets can provide you additional practice and expose you to traffic handling that you might not encounter on VHF/UHF. During an emergency ARES and the National Traffic System (NTS) work together closely, so it’s a good idea to understand emergency traffic from the NTS operator’s perspective. In general, the tactical net(s) handle the primary on-site emergency communications. Their mission may be handling communications for a served agency, weather monitoring and reporting, river gauging, or a variety of other tasks that do not require a formal written message. Often a tactical net may be set up as a “sub net” to handle specific types of traffic during high volume emergency situations. In such cases an additional NCS may be assigned for the sub net. These nets usually handle messages between concerned friends, families and persons in the disaster area. Most H&W nets will be on HF bands, but local VHF or UHF “feeder” nets may be needed within a disaster area. Band conditions, operator license constraints and specific use needs will most always determine which mode may be the best choice for determining the mode of certain net operations. When incoming operators arrive on scene this is the net that they would check into to receive assignments, or to be reassigned as needs change. A resource net may also be used to locate needed equipment, or operators with specific skills. Several different resource nets may be used in large-scale events. One might be used for collecting new volunteers over a wide area, and other local nets could be used for initial assignments. If required due to geography or high net activity, a third net could handle on-going logistical support needs. The National Institute of Standards and Technology (NIST) operates radio stations WWV from Ft. Collins, Colorado and WWVH from Kauai, Hawaii. WWV and WWVH broadcast time and frequency information on a 24/7 basis. Broadcast information includes time announcements, standard time intervals, standard frequencies, UT1 time corrections, a BCD time code, geophysical alerts, and marine storm warnings. Each frequency carries the same information. Multiple frequencies are used because the quality of HF reception depends on many factors. WWV and WWVH broadcast on the frequencies listed in the table below, using double sideband, amplitude modulation. The National Research Institute of Canada operates radio station CHU to disseminate the official time on a 24/7 basis. Each minute, CHU broadcasts time data on the frequencies listed below and includes: time of day (UTC), day of year (1-366), Gregorian year (4 digits), and additional time details. CHU broadcasts time codes using full-carrier upper-sideband modulation that can be read by a computer with a Bell 103 compatible modem.